Moving from Philadelphia, PA to Austin, TX? Austin is the capital of Texas and one of its largest cities, with a population of over 930,000 people. It is known as home to the annual South by Southwest festival. The festival attracts thousands of people to the city every year. Many find it hard not to fall in love with this unique city full of music. 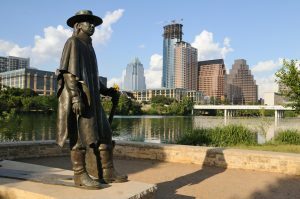 If you are planning to move to Austin from out of Texas, you may need some help with moving your vehicle. Our shipping company is always here to help you with shipping your car from Philadelphia, PA to Austin, TX. The distance between Philadelphia and Austin is over 1,600 miles. If you decided to drive this route to move your car, you would have to spend around 26 hours behind the wheel. If that is not enough stress, think of all the expenses that go along with such a trip. You would have to stop to pump gas countless times and spend a few nights in a motel. Plus, it would just take a lot of your time, which you could have spent on something more useful (or at least less tiring). At Philadelphia Car Transport, it is our goal to make our client’s relocation easier and more affordable. Instead of spending hours and hours driving, leave moving your car to us. Our car carrier will pick your vehicle up at your location in Philadelphia and transport it to Austin without any hassle. We provide door-to-door car shipping at the best prices in the industry and will be happy to ship to you! Get a free quote on Austin car transport from Philadelphia and save big on moving your car. We are looking forward to assisting you with your upcoming car transport!